When it comes to roofing material options for Simsbury area homeowners, it should come as no surprise that asphalt shingles are the number one choice. Of course, as a savvy consumer and homeowner, you don't want to make choices based just on what is the most popular option. You want to have all the information that you can in order to make a choice on your own. So what should you know about asphalt shingles in Simsbury, CT? This is one of the smartest things that you can do. Before making any major decision about your home, you should have all the information that you need. While asphalt shingles may not be for everyone, we can assure you that you will be satisfied if you choose them. However, in order to decide if this is right for you, it is about knowing the pros and cons of installing asphalt shingles in Simsbury. So before agreeing to anything, here is what you should know ahead of time. Here is a basic rundown of some of the major pros and cons of installing asphalt shingles for Simsbury roofing projects. Cost-effective – You can feel good knowing you get good value: durable, long lasting material for a reasonable price. Quick & Easy to Install – Part of what keeps the cost low is that the job is relatively easy to install which makes it inexpensive for labor, compared to other roofing material options. Lifespan – The average lifespan of an asphalt shingle roof is approximately 20 years, with proper care and maintenance. Colors – Contrary to popular misconception, there are plenty of exciting colors to choose from for shingles for your roofing. Recyclable – You can feel good about having a green household because your asphalt shingles in Simsbury are recyclable once they have reached the end of their life cycle. Now you have a pretty good idea of what makes this such a popular choice. However, to paint a fair and balanced picture, let's review some of what could be considered cons as well. Weather Decay – These can, in some circumstances, decay due to sudden weather changes. This is part of why it is a good idea not to install during severe cold weather. 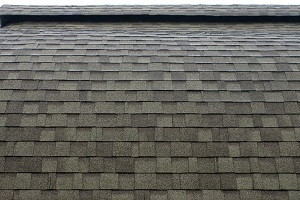 Lifting or Missing – Severe wind, pressure washing or other factors can cause shingles to lift and be pulled away., The good news is that they are replaceable. Ventilation – Without proper attic ventilation, this may shorten the lifespan of your shingles. Getting proper ventilation is important for a number of reasons anyway. Maintenance – Although maintenance is listed as a possible con, it just means because any maintenance is required at all. This should be listed as a pro because the maintenance is relatively low. The important thing is to know your options and compare them fairly. Working with a reputable and established Simsbury roofing contractor will help to ensure that you know the options that you have. The point is to make sure that you make the best choice possible so you can have the longevity and performance you want for the money you can invest. In order to get the results that you want, need and deserve, call on Brian O'Donnell Quality Home Improvements. Brian and the crew have close to 40 years of professional expertise in the roofing contractor field. We take pride in knowing we are doing more than providing quality workmanship and results, we are educating you about your options. Call today to find out more about roofing with asphalt shingles, or go ahead and schedule an appointment to get started on your new roof installation or roof replacement using the finest selection of asphalt roofing shingles available in the Simsbury area. If you are looking for an expert roofer to install asphalt shingles in Simsbury, CT, then please call 860-658-2474 or complete our online request form.